Hello everyone! 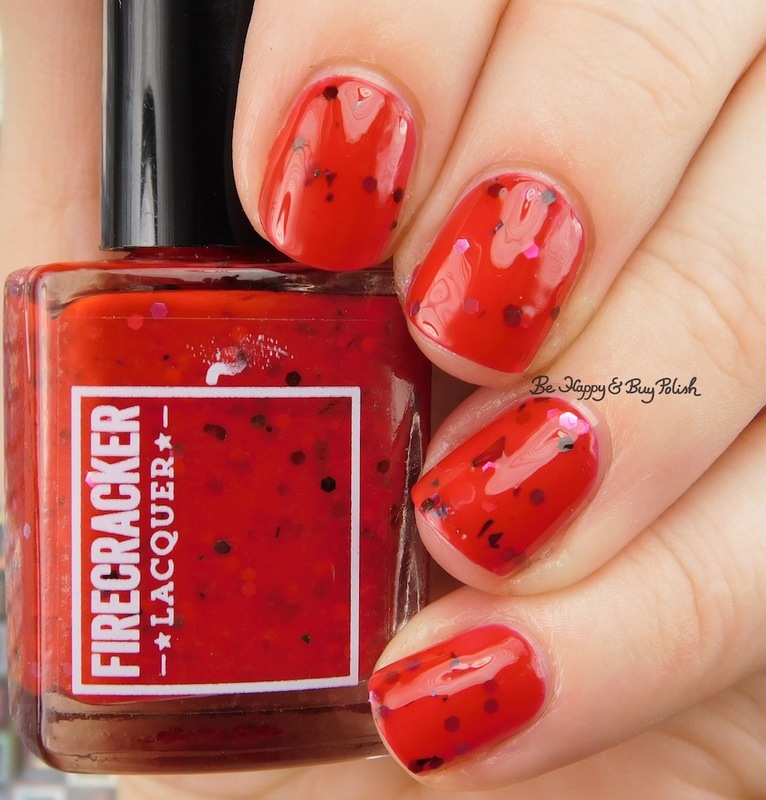 Today I have a polish to show you that I received in a swap with another blogger: Firecracker Lacquer A Marriage Marred by Murder. This is a red based jelly polish with glitters of silver, pink and black, shreds of black. The glitters applied unevenly and the polish as a whole applied thinly. This is 2 coats plus top coat. This isn’t my favorite polish ever but I like the mix of colors. What do you think? This jelly polish looks pretty nice!